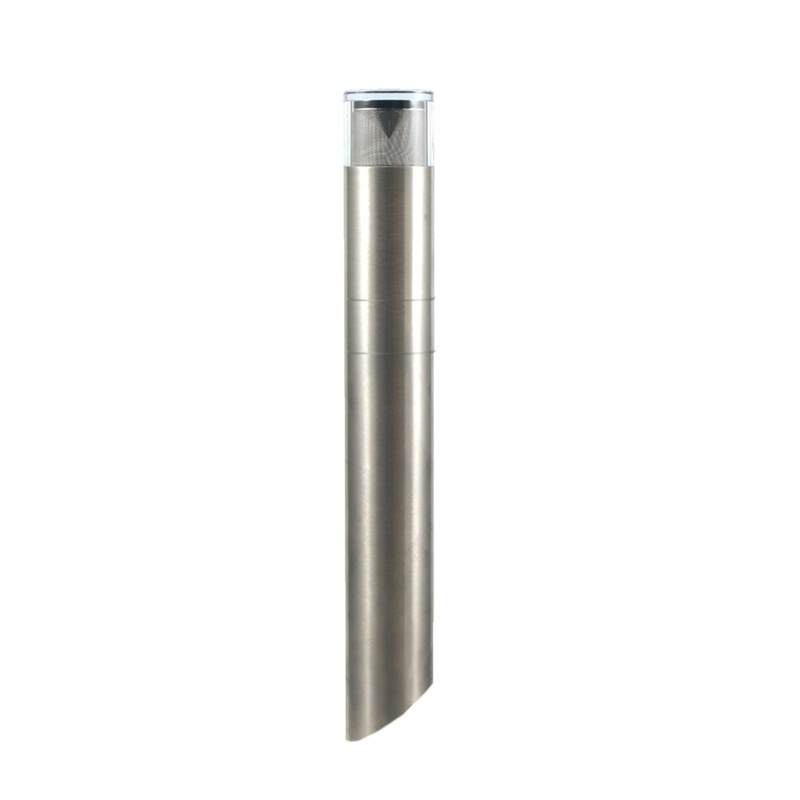 The Hunza Bollard comes in two sizes, 300m and 700mm, and both are ideal for exterior lighting such as driveways, path lighting, parking areas, etc. The lens reflects light at two angles through an anti-glare mesh directly onto the ground and horizontally to illuminate the surrounding landscape. Constructed of tubular aluminium with a UV stable powdercoated finish, machined from solid copper or 316 stainless steel. It has a mirror finished twin angle reflector and UV stable acrylic lens with anti-glare mesh. NB: These fittings are made to order and are therefore non returnable. Lead time approximately is 3 weeks from order.